Yesterday my self-care was to spend a few hours with some other entrepreneurs stepping back and focusing on what we want for our businesses. It was fun, informative and inspiring. I actually like to stop and do these types of things like a SWOT Analysis (Strengths, Weaknesses, Opportunities and Threats), point out what your obstacles are (internal and external just like a story! and hello, my desk), reflect on lessons learned, wins you can celebrate (my favorite part) and more. P.S. 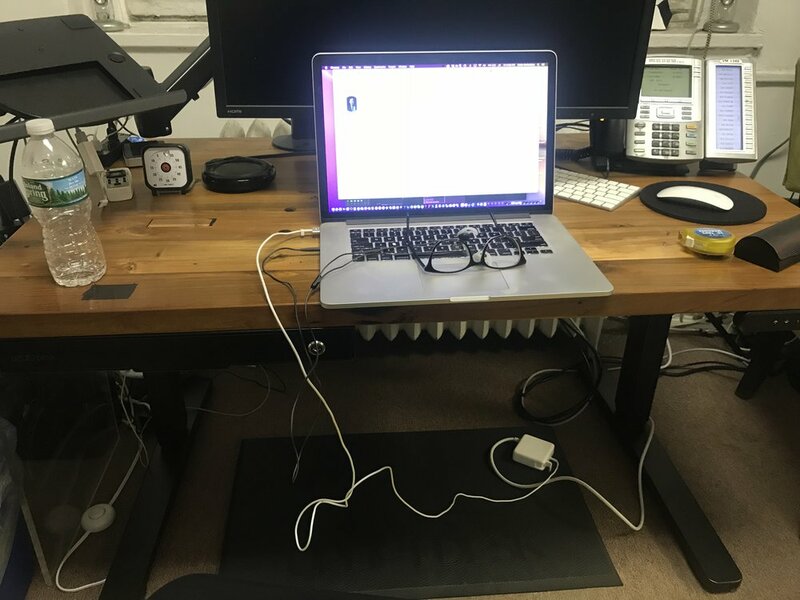 I tried out a standing desk and folks, we may have a winner! It gave me a whole new perspective on how I might be able to make this work in my apartment. Have you ever used one? Do you like it? Tell me below. My name is nowhere to be found, but I still got a great workout. P.P.S. Full disclosure. After bragging out my first place finish in my spinning class the other day, yesterday I didn’t even make the board. Was it because I got less sleep? Probably. Was it because I didn’t work as hard? Very likely. Are you good about taking out time for yourself or your business? What are your favorite ways to incorporate that time into your life? Gelf-Care 30-Day Challenge Day 12: What Would Laverne Do?